The green area shows the predicted habitats for breeding only. The green area shows the predicted habitats for breeding only. 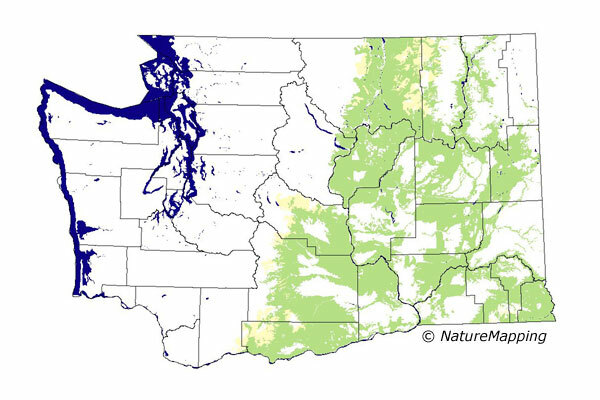 The habitats were identified using 1991 satellite imagery, other datasets and experts throughout the state, as part of the Washington Gap Analysis Project. 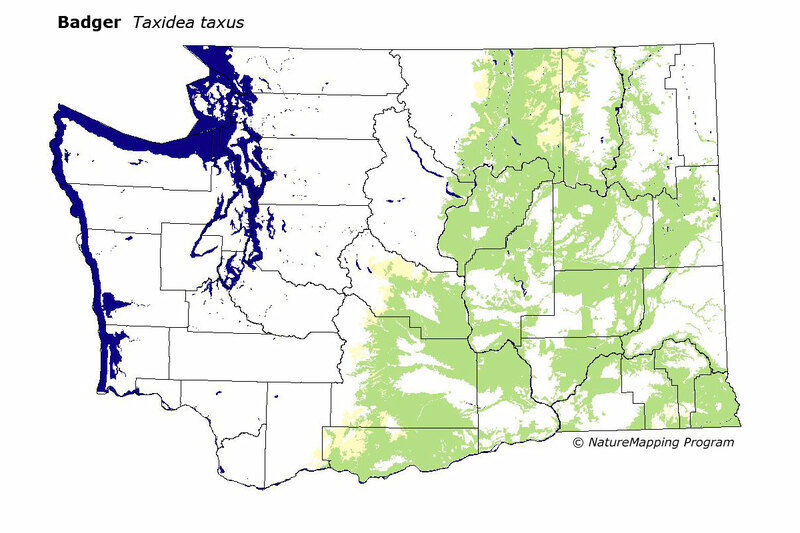 Badgers occur in open habitats in eastern Washington including semi-desert, sagebrush, grassland, meadows, and grassy bald spots on high ridge tops. It is not known from alpine or sub-alpine parkland. Can be present in open forest (primarily Ponderosa Pine) with grassy ground cover. Core zones are Steppe, Ponderosa Pine and Oak. In the Blue Mountains, Grand Fir and High Basalt Ridges were core. Within its range, non-forested areas are good habitat. Pasture and soil conservation areas are adequate. In steppe zones, open forest is good habitat.